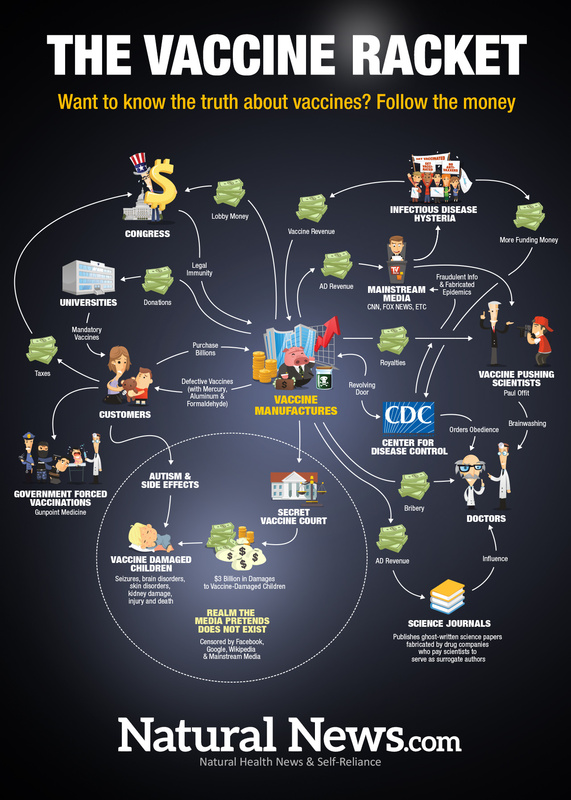 The chart below from Natural News.com neatly summarises the way some drug companies like GSK [including some which have criminal convictions such as for fraudulent marketing and selling of dangerous drugs] use money to manipulate politicians, universities, the media, medical professionals and the public to expand the ever increasing burden of vaccines one too many of which do cause serious ill health and/or death. What the chart does not show is the high levels of under-reporting of adverse vaccine reactions and the manipulation of adverse reaction data to hide the data showing the scale of serious adverse reactions. See also below the links to just a few of the previous relevant CHS articles.